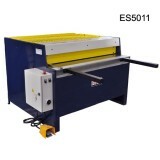 FEATURES: Best for cutting metal plate,rod & bar steel, flat steel, Durable steel fram cutte.. 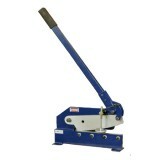 SPECIFICATIONS: Blade lenth: 10", Plate capacity: 3/16", Rod capacity: 1/2", .. 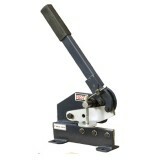 FEATURES: The rotary metal shear is the perfect complement to any sheet metal fabrication shop.. 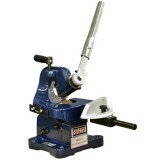 SPECIFICATIONS: Blade lenth: 12", Plate capacity: 3/16", Rod capacity: 1/2", .. 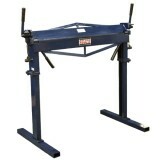 SPECIFICATIONS: Bed width: 19 5/8", Maximum shear mild steel thickness: 16 gauge, Packin.. 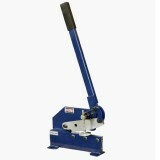 FEATURES: Hand control, Deliveried with working light, Used for mild steel, aluminium, copper, .. 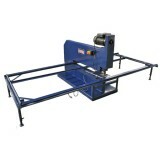 SPECIFICATIONS: Bed width: 31 1/2"", Maximum shear mild steel thickness: 16 gaug.. 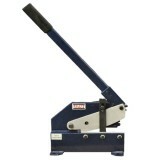 SPECIFICATIONS: Bed Width: 36"; Capacity thickness: 12 Gauge Aluminum; 18 Gauge for mild s.. 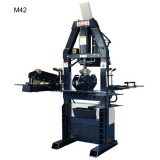 SPECIFICATIONS: Bed width: 39 1/4"; Max. 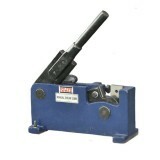 shear thickness : 20 Gauge; Bed material: steel p.. 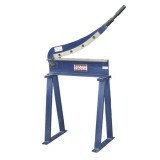 SPECIFICATIONS: Bed width: 39 7/16", Maximum shear mild steel thickness: 16 gauge, Packi.. SPECIFICATIONS: Bed width: 39 1/4"; Max. 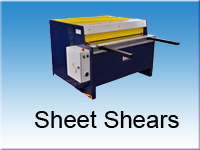 shear thickness : 20 Gauge; Bed material: cast ir.. 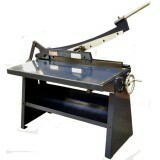 FEATURES: Works with aliminum,copper and mild steel,Stand height: 35". 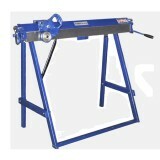 All steel foldable frame.. SPECIFICATIONS: Bed width: 49 1/4"; Max. shear thickness : 20 Gauge; Bed material: Cast ir.. 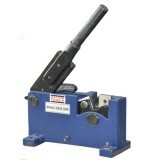 SPECIFICATIONS: Blade lenth:5", Plate capacity: 5/32", Rod capacity: 3/8", P.. 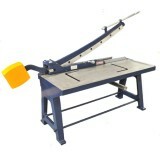 FEATURE: Manual back gauge with mm counter, Cutting line light, Mobile 24V foot switch, Automa.. 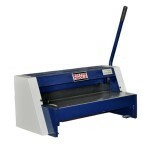 SPECIFICATIONS: Maximum shearing capacity mild steel...16 gauge; Maximum shearing capacity s.. 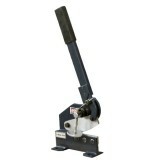 SPECIFICATIONS: Blade lenth:6", Plate capacity: 3/16", Rod capacity: 7/16", Packing si.. 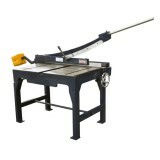 SPECIFICATIONS: Blade lenth:8", Plate capacity: 3/16", Rod capacity: 7/16", ..
>SPECIFICATIONS: Sheet Capacity: 3/16", Flat capacity: 2-3/4" x 41", Round .. FEATURES: 1. 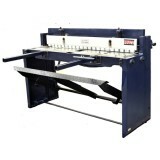 Multiple functions with shearing, punching and bending; 2. 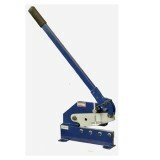 Hydraulic system.. SPECIFICATIONS: Max. 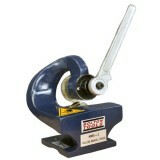 shear thickness: 11 gauge; Max. 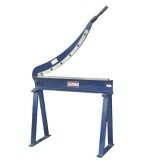 shear width: 39 3/8"; Max. shear radi..